Most Canadians feel they can’t afford to contribute to a Registered Retirement Savings Plan (RRSP) because they have too many other expenses. However, you probably could afford to make RRSP contributions by systematically depositing small amounts monthly. Think of how effortlessly wage earners make income tax, CPP and EI payments by payroll deduction. Even $50 per month is a good place to start. Enrol in your employer’s group RRSP. Take advantage of any matching deposits your employer is willing to add to your savings. If you have no group RRSP plan at your workplace, then arrange for a pre-authorized electronic funds transfer at your bank. Typical RRSP investments available for such monthly-deposit plans include mutual funds, which let you fully invest even the smallest contributions. Stock market downturns will have less of an impact when you realize that you will automatically accumulate more mutual fund units whenever prices decline. You’ll also buy fewer units while prices rise. When you contribute to your RRSP on a monthly basis, you can arrange with your employer to reduce the amount of tax withheld from your paycheques. Fill out Canada Revenue Agency’s Form T1213, Request to Reduce Tax Deductions at Source. Let’s say your taxable income is over $43,953, for example, and you are in a 35 per cent tax bracket (using Saskatchewan rates). Rather than waiting for a $210 tax refund from claiming the $600 annual total RRSP contribution on your tax return, your reduced source deductions provide your tax savings immediately. Take that reasoning one step further. Use the cash flow, freed up by reducing source deductions, to contribute that much more to your RRSP. If you could afford $50 per month before, then you can afford to increase monthly deposits to $77 per month once you have arranged to have $27 less tax withheld at source. For some people, borrowing to make a top-up contribution before the March 2 RRSP deadline can be useful when you have some cash to start with. You can get an RRSP loan interest rate that is close to the prime rate (currently 3 per cent). You should use your income tax refund to pay down your RRSP loan. Indeed, the ideal amount to borrow for a short-term RRSP loan is the same as the dollar amount of the tax refund you expect. For example, let’s suppose you have $3,000 cash (C) available to make your contribution. Your 2014 taxable income is between $43,953 and $87,907, which puts you in the 35 per cent marginal tax bracket (T). The tax you would save without borrowing is C times T, which is $1,050. However, if you borrow $1,615 (B) and you contribute a total of $4,615, then your tax refund would be $1,615, which would be just the right amount needed to completely pay off your RRSP loan. Convert your tax rate into a decimal fraction (0.35). The formula to calculate the best amount to borrow is the $1,050 tax you would save without borrowing, divided by the difference of 1 minus T. When you divide $1,050 by 0.65 you get $1,615. If you want to buy a house within the next five years, consider taking a Home Buyers Plan (HBP) withdrawal from your RRSP. Increasing the size of your down payment reduces your interest costs. You might even avoid the need to pay premiums for CMHC mortgage default insurance. With an HBP you can withdraw $25,000 from your RRSP without tax deducted. 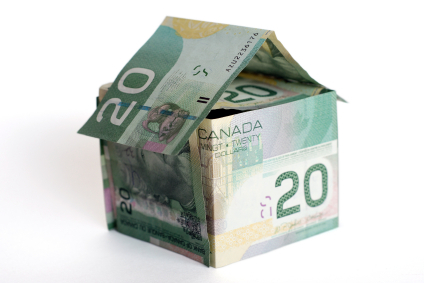 If you’re buying your house in 2015, make sure your RRSP contribution is at least 90 days before your HBP withdrawal.